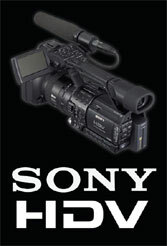 We only use Sony HDV equipment for all our productions. This results in superb quality footage, weather it is supplied on DVD or Blu-ray disc. sample videos to see for yourself.